So as I am nearing the end of my pregnancy it also means that Jayden is nearing the end of being an only child. I know he is excited to be a big brother, but it will also be hard for him at times as he adjusts. I really wanted to spend some time with him before I give birth since I won't be able to spend as much in the days following baby boy's birth. So Friday night my friend called (or texted as its easiest for busy moms) and asked if we wanted to go to Jumpstreet. 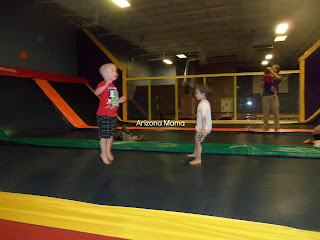 It is a local indoor trampoline place. We have not been there and I wasn't too sure since Jayden refuses to go inside bounce houses and all. I was afraid to pay for him to sit back and just watch. But we decided to try it. When we first got there Jayden was excited and we went to the 7 and under area. 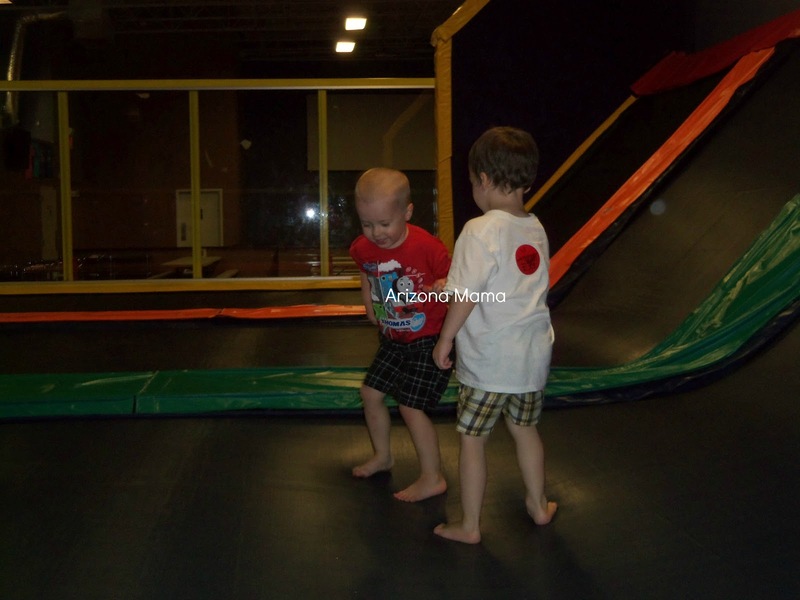 He went up the stairs excited, but as soon as he saw the big trampolines he stopped short and had to think about it. No surprise there. But Aidan didn't skip a beat, he grabbed Jayden's hand and lead it out on the trampoline. Jayden went with him and was shocked to see all the fun he would have. 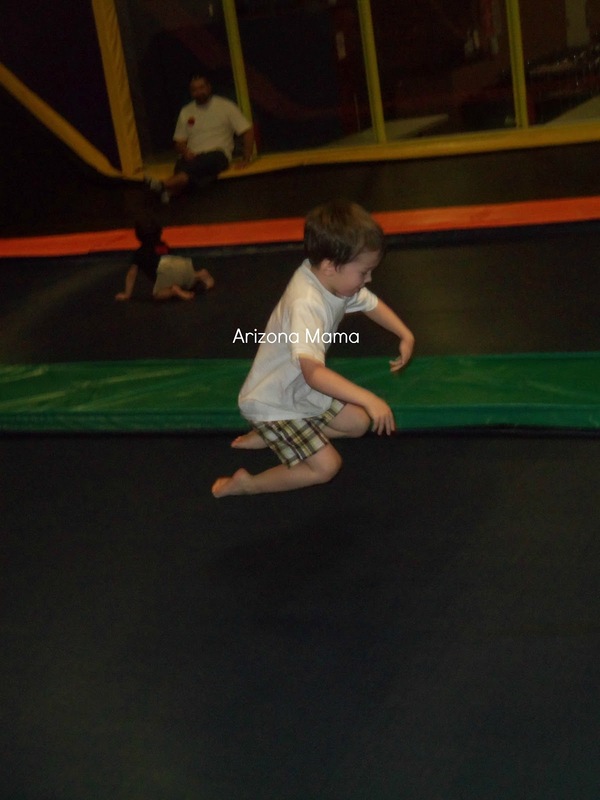 After a few minutes Jayden got really into it and had a great time bouncing all around. I even got this fun video of him jumping and even trying a few tricks. There was also a bounce house there. I peaked his interest when I told him there was a basketball hoop and basketball inside. There were no kids playing inside so Jayden and I went to check it out. He got so close, but just could not get himself inside. 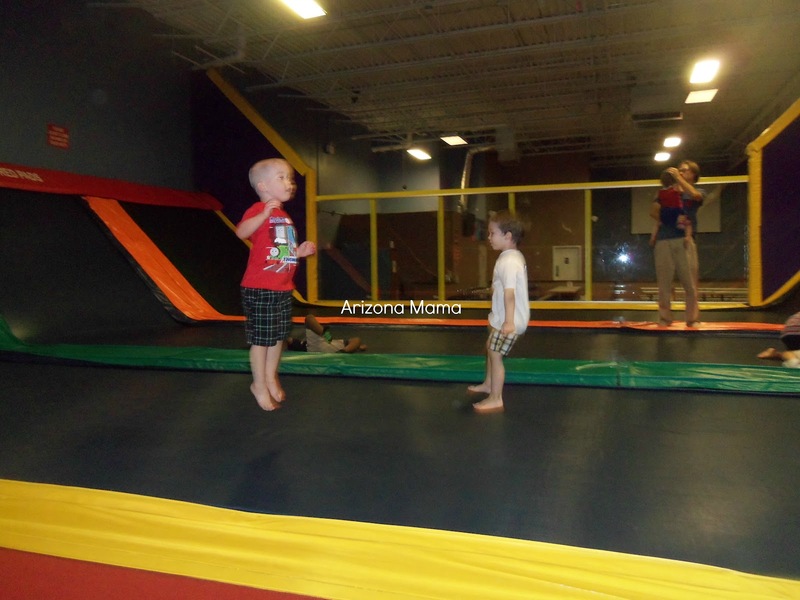 We went back to the trampolines for a bit. 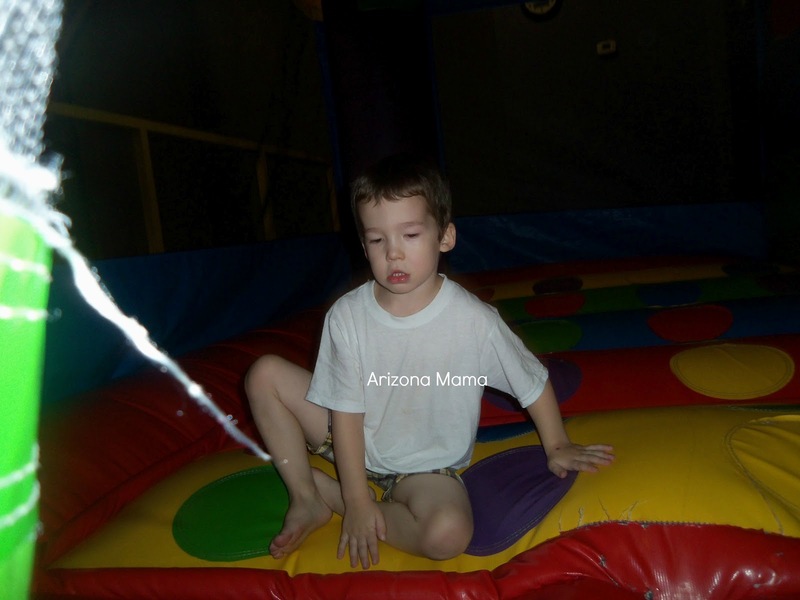 He came back to me again and really wanted to try the bounce house. So we went back. He actually got inside, but the basketball was missing. I told him since no kids were inside he should try it out. He did bounce a little sitting (would not stand to bounce) and quickly got out. 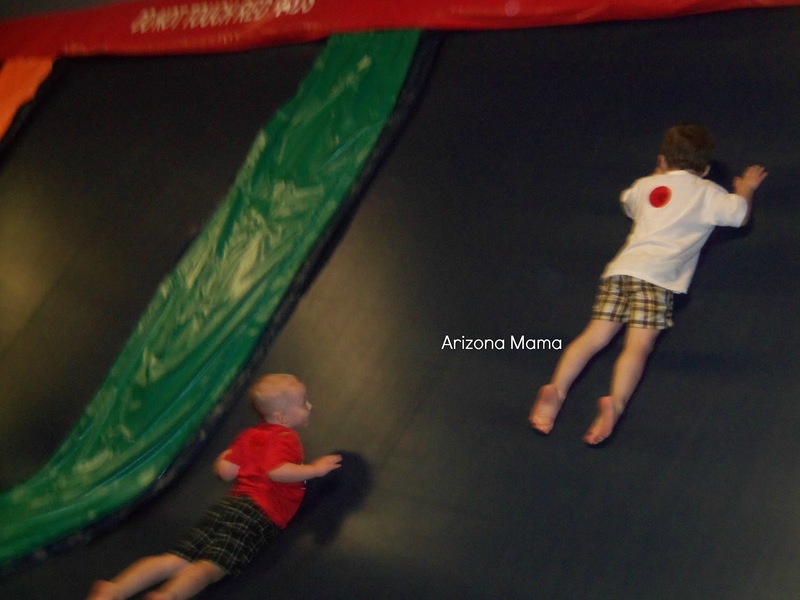 Jayden and Aidan thought it was fun to climb up the side of the trampoline wall and slide down. I'm so glad my little man had a good time and just enjoyed being himself with his best friend. I think this is one of the times they played together most of the time. Usually we go places and they go their separate ways, with brief check ins. Jayden and I have been finding small things to do together the last couple days, yesterday a lunch date to McDonald's, just the two of us. And today we made brownies together. He thought it was so funny to call each other Chef so everything was, "Ok Chef" "this is ready Chef", and so on. Not sure what we will do tomorrow, but something just the two of us each day until baby boy comes. 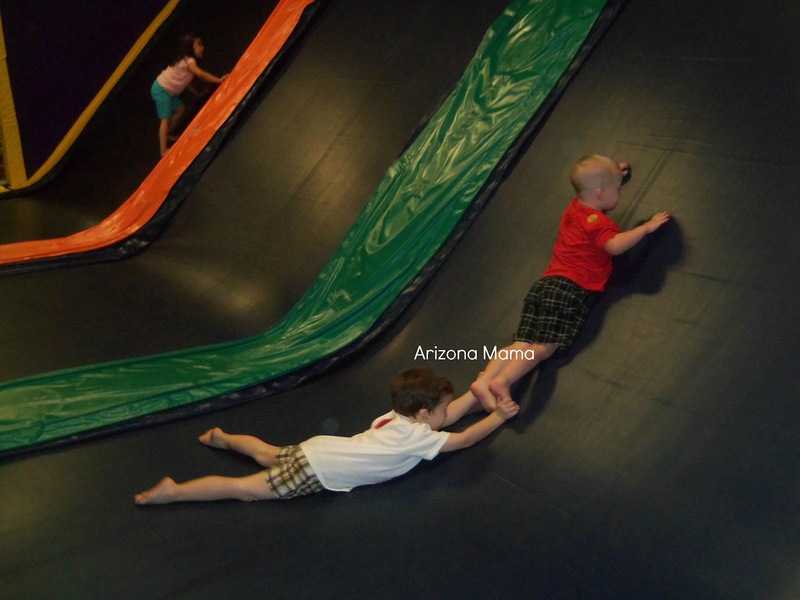 This was a personal post about a personal experience. There are not sponsors and I was not paid to post this. I wish we had a place like that here. I love that you are making play dates! As we anticipate our second child I'm having a little anxiety for my son, I know he will be fine, but we will have some painful moments. I plan on doing playdates as well. Prayers for a safe and swift delivery for you! Fun! We were there last week! :) I think it's so great that you're doing all this with him before baby comes!